No, not the 1998 remake of the 1961 Disney film, which in turn was based on Das Doppelte Lottchen by Eric Kastner, which in turn was derived from the 1936 musical comedy Three Smart Girls. Rather, I am referring to the trap that modern, emancipated, sophisticated parents, living in the year 2014, fall into, viz. ‘parenting’. Parenting, a relatively new verb, has forgotten how to be a noun. Parenting has produced an insatiable bibliography of titles on Amazon, assuaging parental guilt and experimenting with your child. Step back and think about it – what do most parents do? They service their children’s physical survival needs providing food, clothing, and shelter. They provide for their intellectual needs by delegating this function to schools. They feed their emotional needs with a cursory goodnight kiss but more substantively with internet descendents of Pac Man and Donkey Kong, viz. presents like Doom, Tetris, and World of Warcraft. And they satisfy their children’s spiritual needs with videos of The Hunger Games and Harry Potter. (The fact is that we have been confused about raising children ever since Adam and Eve had to deal with sibling rivalry, a family tragedy that concluded in the murder of a ¼ of the world’s population - Able). Parents, let me clear: you don’t need any parenting ‘skills’. Read two books and you will have three opinions. Should you follow Erickson’s eight stages? Or is misbehavior the product of an unfulfilled wish to be part of a social group as Dreikurs suggests? Or should we accept Frank Furedi or Judith Harris’s assertions that parents don’t really count as an influence on children? Or should we adopt an Authoritative Parenting style, or perhaps, practice Authoritarian Parenting? You can also throw into the mix Attachment Parenting, Nurturant Parenting, Overparenting, Spiritual Parenting - and ‘the beat goes on’. Parents – it is quite simple. Live your life honestly, with firm values, and, as the Talmud teaches, “allow your outside to be like your inside and vice-versa” – meaning: no hypocrisy. For mine, I am impressed with the statistics from political science that state that 82% of all children vote like their parents did. And that’s after going through all the stages of rebellion and ‘cultural mutation’ dictated by the media. In other words: the way you live your life (not speak, not lecture, not admonish, not punish, not even explain, but live), will determine the outcome of your child. The child is impressed by your footwork – not your tongue. The child believes in actions, not words. The child loves goodness and kindness and compassion. Why? Because that is the nature of the soul. Why? Because, as the Hassidic Masters teach, that is the nature of the created Cosmos. Forget best-selling, faddish, ‘theories of parenting’ that appear one day and are gone tomorrow. Live your life with positive belief; express that belief in your life’s actions, and the child will become a magnificent human being. Avoid the parenting trap. That’s double trouble. 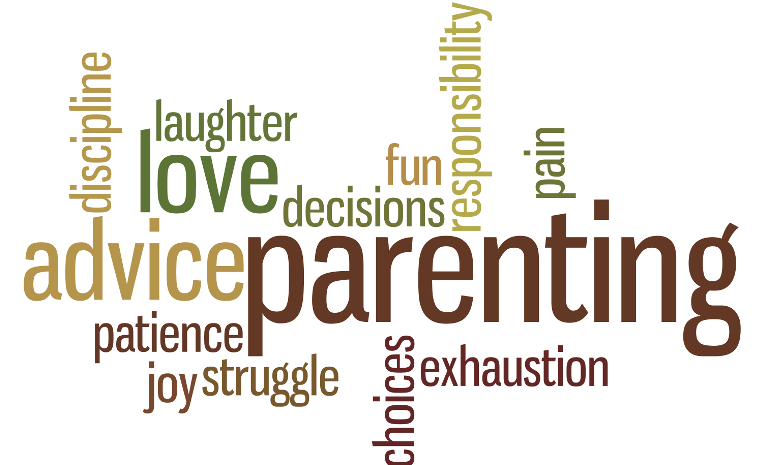 Just be a parent: a true noun. Believe in yourself. No child is given to a parent who has not the capacity to mold the child into a thing of beauty and value.